An ongoing series in which we highlight great movies overlooked by the popular '1001 Movies You Must See Before You Die' books. "I for one could watch one of these movies every year, and I wish this series had become an annual tradition in the way the Paranormal Activity franchise has. Go watch Final Destination; I guarantee you'll look both ways before crossing the road after viewing this one." The Final Destination franchise was born of two sources; the success of Wes Craven's Scream had led to a rash of teen horror flicks in the late '90s, while Glen Morgan and James Wong, the writer-directors of Final Destination, had made a name for themselves through their contributions to that other '90s genre phenomenon, TV's The X-Files. Final Destination feels very much like a coming together of both sources, an X-File that Mulder and Scully never got around to investigating, leaving the teens to figure it out for themselves. The movie opens with a high school class boarding a flight to Paris for a school trip. 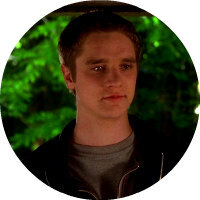 Alex (Devon Sawa; what ever happened to him?) has some bad feelings about the flight, and portentous omens seem to be everywhere; the airport is named after an assassinated president, a song by air crash victim John Denver plays through the restroom speakers, and a classmate is reading an article about Princess Diana. A more subtle hint is the in-flight movie - Stuart Little, written by M Night Shyamalan, whose The Sixth Sense had been the cult hit of the previous year. On board and awaiting takeoff, Alex nods off and has a nightmare in which the plane explodes on take-off. When he awakes, he finds the details of his dream correspond to real life, and freaking out, finds himself, along with a bunch of his classmates and a teacher, kicked off the plane. And wouldn't you know it, Alex's premonition comes true, the plane exploding in the night sky above JFK. However, it seems death is feeling cheated, as one by one, the survivors succumb to ghastly demises. By 2000, the teen slasher trope had become stale, but Morgan and Wong found an ingenious way of refreshing the genre, by simply making death itself the villain. This makes for unbearable suspense, as the most seemingly benign household implements suddenly become potential death traps. The kills are some of horror's most inventive, a series of Rube Goldberg devices that start off small and quickly escalate, and this formula would reach its apogee in the 2003 sequel, which ramped up the black comedy aspect to great effect. One particularly abrupt death seen here is one of the greatest shock moments in cinema, and has been ripped off several times since, but never to such popcorn in the air effect. What's great about this formula is its infinite possibilities. All a filmmaker need do is come up with enough clever ways to kill off their protagonists and endless sequels are possible, though at this point we've only had four, and the series seems to have now called it a day. Having mortality as your antagonist means you don't fall into the trap of other horror series in having to come up with excuses for bringing your villain back for each new movie. Unlike the many mask-clad killers of the slasher genre, the grim reaper really is indestructible - death always wins in the end! I for one could watch one of these movies every year, and I wish this series had become an annual tradition in the way the Paranormal Activity franchise has. 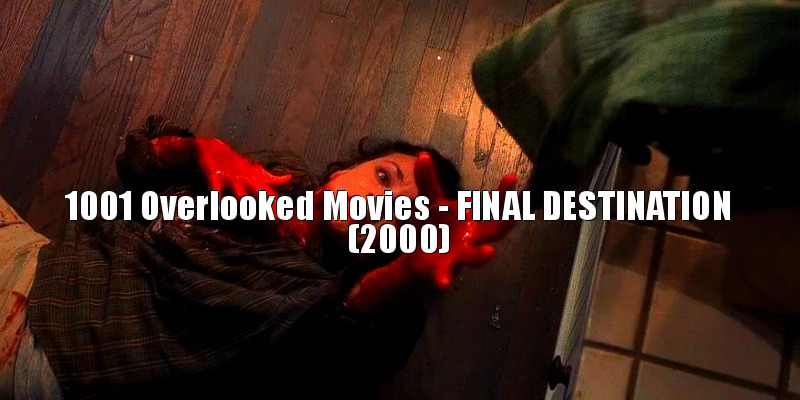 Go watch Final Destination; I guarantee you'll look both ways before crossing the road after viewing this one.